Sri Lanka President Maithripala Sirisena on Saturday suspended parliament, deepening political turmoil after he sacked his prime minister who had called for an emergency meeting of the legislature. Parliamentary officials said the president had suspended all meetings of the 225-member house until November 16. Ranil Wickremesinghe, who was sacked by the president late Friday, had earlier called for an emergency session of parliament so he could prove his majority. Sri Lanka's Prime Minister Ranil Wickremesinghe hit out at his shock sacking by President Maithripala Sirisena on Friday, saying he will challenge his ouster in court. "This is not legal," he said, referring to his dismissal and the appointment of controversial former strongman president Mahinda Rajapakse to replace him. "I will go to court." 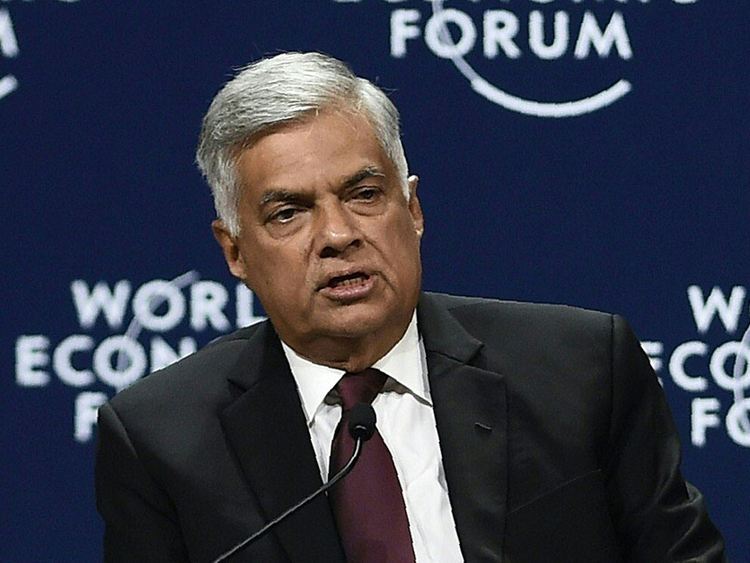 Wickremesinghe said he still retained a majority in the 225-member parliament, although Sirisena's United People's Freedom Alliance had withdrawn from the coalition government shortly before his sacking. Earlier, Maithripala Sirisena installed Sri Lanka's controversial former strongman leader Mahinda Rajapakse as the country's new prime minister Friday, the president's office said, in a surprise move announced moments after the incumbent premier was sacked. Sirisena won elections against Rajapakse in 2015 on a platform of economic reform and accountability for atrocities committed during his opponent's 10-year rule at the close of Sri Lanka's bloody civil war. Sirisena's office said late Friday that his former foe had been appointed prime minister, and a private TV channel loyal to Rajapakse broadcast a rushed swearing-in ceremony. But questions remain over the legality of the move, as a constitutional amendment passed in 2015 had taken away the president's power to sack the prime minister. The surprise move comes after disagreements between Sirisena and ousted Prime Minister Ranil Wickremesinghe over economic policy and day-to-day administration of the government. There was no immediate word from Wickremesinghe, who helped Sirisena defeat Rajapakse in the 2015 elections but has drifted apart from the president since. Sri Lanka President Maithripala Sirisena's party quit the country's ruling coalition on Friday, a senior minister said, in a move that raises serious doubts about his government's future. "The UPFA (United People's Freedom Alliance) left the coalition government," Sirisena's Agricultural Minister Mahinda Amaraweera said. There was no immediate comment from Prime Minister Ranil Wickremesinghe or his office.